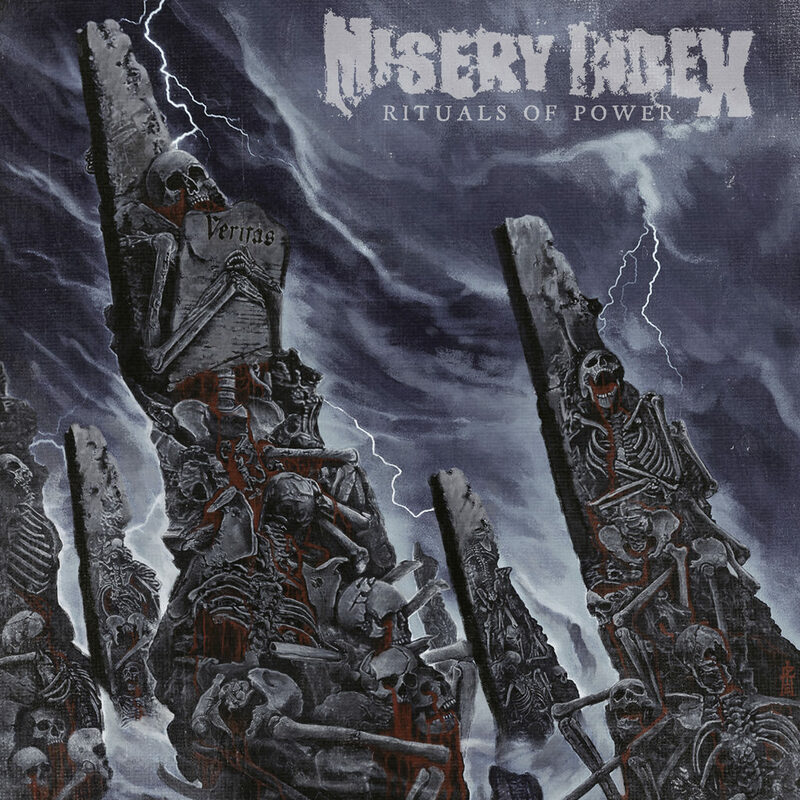 Loudwire is pleased to unveil MISERY INDEX’s lyrics video for “The Choir Invisible,” the latest sampling from the band’s impending Rituals Of Power full-length. Set to drop March 8th via Season Of Mist, the record boasts nine punishing tracks centered around the concept of “truth” and its use throughout history as a means to uphold power, regimes, and ideologies. 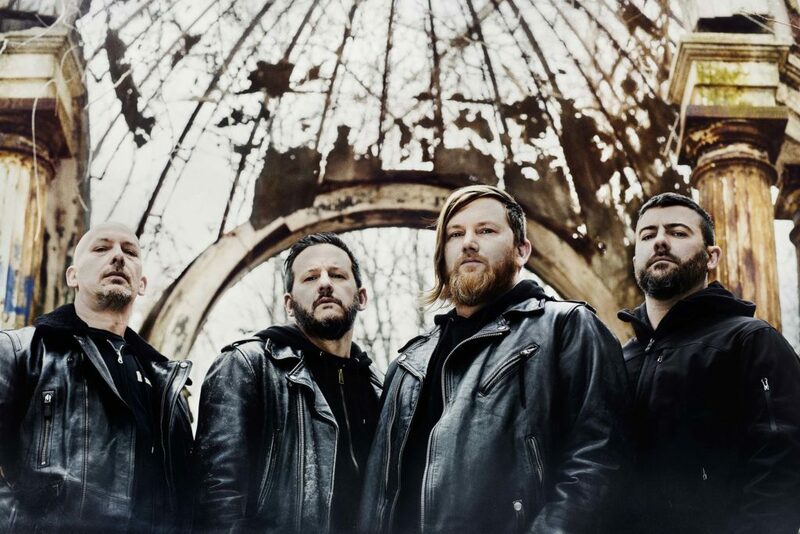 View “The Choir Invisible,” courtesy of Loudwire, at THIS LOCATION. View the band’s previously released videos for “New Salem” and the record’s title track below. Rituals Of Power will be released in several formats including standard jewel case CD and digitally as well as limited LP, limited cassette, and limited deluxe digibox which includes bonus cover tracks — Nailbomb’s “Wasting Away” and M.O.D.’s “Man Of Your Dreams” — as well as a carabiner with key strap and bottle opener, a patch, and three vinyl stickers. For preorder options visit: shopusa.season-of-mist.com/list/rituals-of-power. 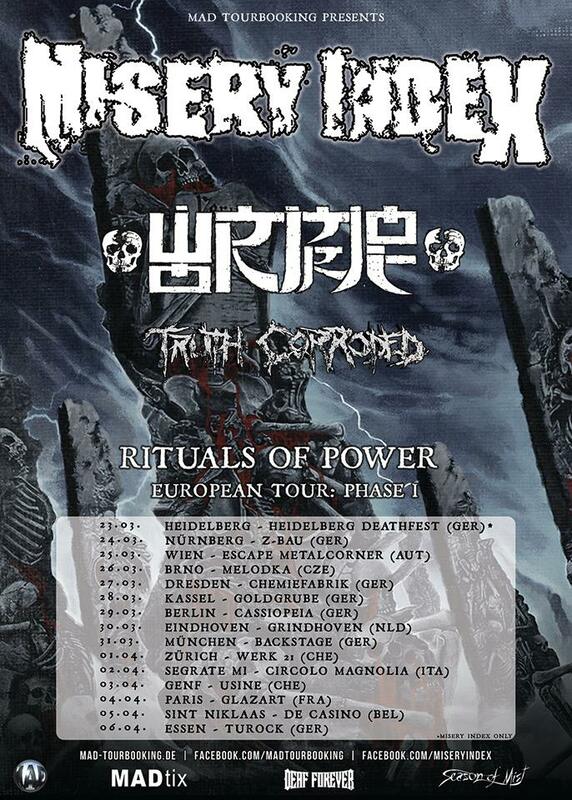 In conjunction with the release, MISERY INDEX will play two shows in Japan with Napalm Death, Eyehategod, and Melt-Banana before heading to Europe for a two week headlining tour with Wormrot, The Lion’s Daughter, and Truth Corroded. The Rituals Of Power: Phase 1 tour sees the band traveling through eight countries with a final curtain at the Turock in Essen, Germany. See all confirmed dates below.